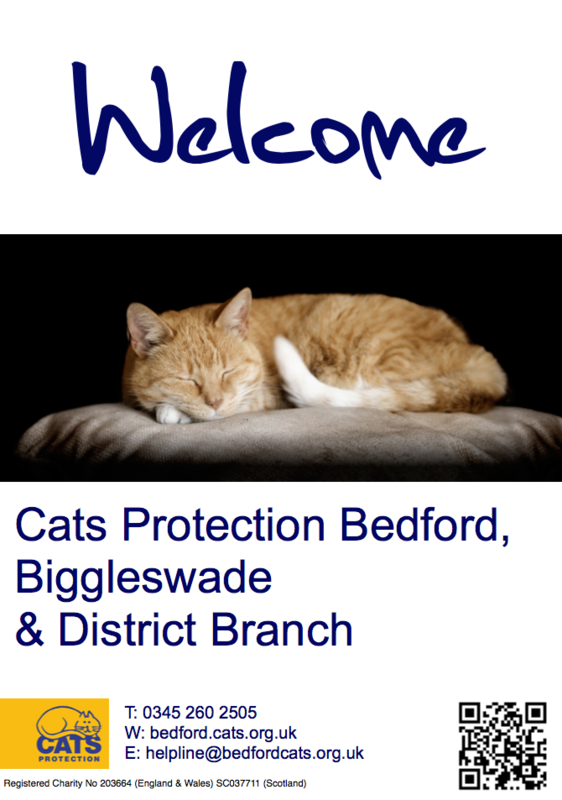 Welcome to the Bedford, Biggleswade & District branch of Cats Protection and thank you for showing an interest in volunteering with us. We have many varied roles that are detailed further on in this information pack. The branch has been going since 1992, and I joined as a volunteer in 2006 as a home visitor. I had decided to volunteer as I wanted to do something more with my life, and having a great love of cats I felt CP was the way to go. Soon after I became an emergency fosterer for urgent cases that need to come into CP care, but where we didn’t have a foster pen immediately available. I continued with home visits and also occasionally dealt with trapping and transporting feral cats. Through this varied experience I got an insight into how the branch ran and, when the previous Co-ordinator decided to retire, in 2009 I became the 3rd Coordinator of the branch. During my time here I have tried to build on what has already been started by my predecessors, but also to bring the branch into the 21st century. We now have a new website, a Facebook page; we are on twitter and have fundraising accounts online. The branch is overseen by a committee who meet regularly to discuss major events within the branch these are: Jayne (Secretary), Claire (Treasurer), Helen (Fundraising), Nicky (Fostering & Homing) and Vaughn (Newsletter Editor & Publicity). Our branch is run by volunteers, which is why we are so pleased you are interested in joining us. The majority of our funding comes from the sales of goods in our shop, without this those of us involved in the cat work wouldn’t be able to do half of what we do. Ultimately the day to day running of the branch tends to come down to me, and I sometimes have to make the heartbreaking decisions. However I am fortunate in that I also get to make the heart warming ones. I class my role now as ‘general dogsbody’! I do a bit of this and a bit of that to make sure the branch runs as smoothly as possible. Again, without volunteers such as you, I wouldn’t be able to get this done. I hope, by reading through the available roles, you will find something within the branch that you would like to get involved in and look forward to welcoming you as part of our family.